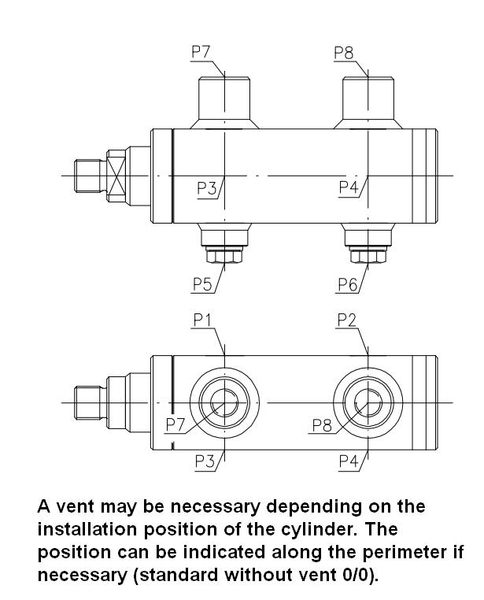 The HZD4 series cylinders are double-action pressure cylinders with end position damping that are universally applicable due to their various models and sealing variants. 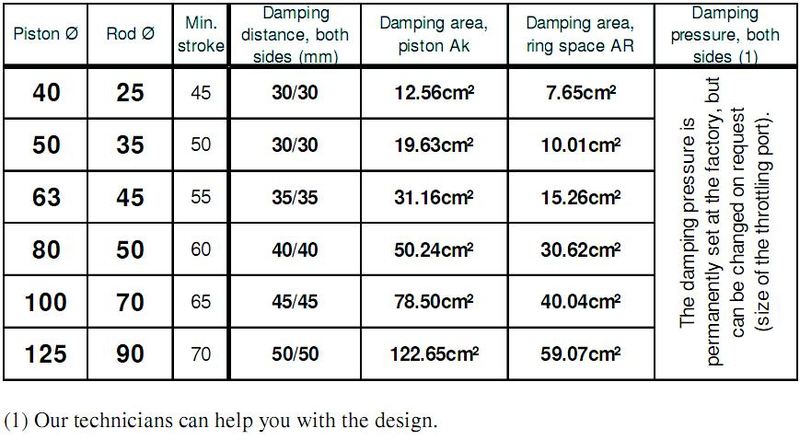 The damping is not adjustable. The piston rod guide is designed to be screwable for maintenance tasks. The piston rod consists of hightensile structural steel with an approximately 25µm hard chromium-plated layer. Other materials and coatings are available on request. Please consult us in case of radial forces and non-vertical installation. Please click here to download the order key . According to the stroke length, the supporting width of the piston rod is changed to reduce the load of the guidance system when the rod is completely extended. The end position damping guarantees a soft braking of the stroke speed of the hydraulic cylinder in both end positions. The damping is achieved through a throttling of the flow of the liquid, whereby the kinetic energy resulting from the movement is converted to heat. The kinetic energy E as a product of all masses m acting on the piston rod and the stroke speed v at the beginning of the damping may not exceed the working volume W of the damping. For vertical installation, the weight force of the outer load and the piston rod must be added to or subtracted from the braking force FB. The cylinder friction is not taken into consideration in the calculation. If the average damping pressure is too high, either the damping length or the system pressure must be reduced. Please send me information about the stock program. Please send me the product catalog.